Freshman Erika Peterson is entering her first year as a part of the southerner. Peterson is already an active member of the south high community. From mountain biking to cross country skiing and even the green tigers. Peterson shows a passion for history and history day. 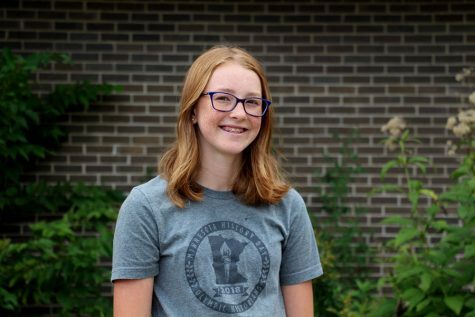 Even though she’s new to the world of environmental activism, she’s ready to learn more. She may be new to the southerner but she’s not new to the world of student journalism. Back in Fifth grade she was apart of a mini-paper, while it didn’t have editors or real news. It gave her a taste for what’s to come. So as soon as she saw the opportunity she had to jump on it and join the southerner. Peterson is hoping to use the southerner to know what’s going on in the south community and be in the know of all things south.